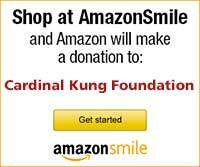 Stamford, Connecticut, U.S.A. - The Cardinal Kung Foundation has learned that on January 25, 1999, Father PEI Junchao and Father CHEN Hekun, two underground Roman Catholic priests, together with an unknown number of other people possibly including priests and seminarians were arrested in Hebei Province, China. Father PEI Junchao is from Youtong Village, Shijiazhuang City, Hebei. 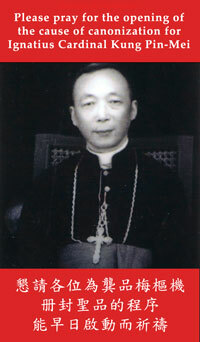 He belongs to the Diocese of Zhengding. Youtong Village has about 2200 people, 80 % of them are underground Roman Catholics. Youtong Village has a historical significance in the history of the persecution of the underground Roman Catholic Church by the Chinese authorities. On April 18, 1989, the Chinese security force mobilized about 200 police wagons with 5000 armed policemen to put down a Catholic service in progress during the Easter season held on the rubble of an underground church destroyed by the Chinese authorities in Youtong village. Three Catholics died. More than three hundred injured. Father CHEN Hekun, 36, is from Quantou Vilage, Anxin County, Hebei. He belongs to the Diocese of Baoding. Quanton Village has about 1000 people, 90 % of them are underground Roman Catholics. Most of them are fishermen. Father CHEN is very famous in his eloquence in his sermons. He was arrested by the Chinese authorities at least twice before, and was savagely beaten.